A great collaborative opportunity for large groups! 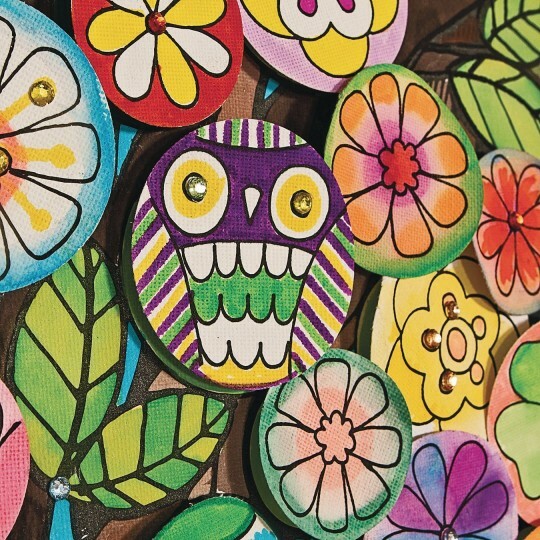 This collaborative kit offers your group the opportunity to create a finished piece of artwork together! 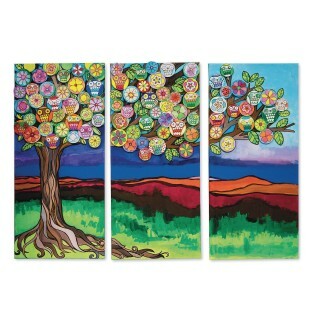 Die-cut details are added to the 3 canvas panels to create a unique piece of triptych artwork. 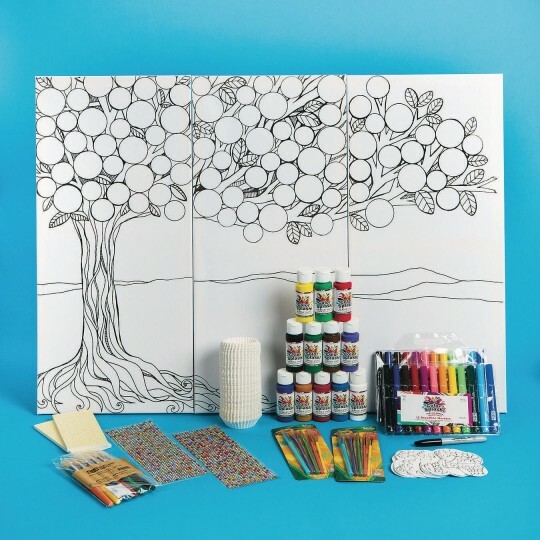 All art supplies are included along with an Educraft® instruction guide. Finished artwork measures 36” x 26”. Each panel is 12” x 26”. This is a great project! It gives kids of all ages and creative levels a chance to be successful. We used it as a group project. It encourages conversation and helpful suggestions between the kids. The canvases were painted which appealed to the older kids and the younger ones found it easy to color the decorations for the tree with magic markers. Everything was included in the kit. Will definitely order again!